This recipe is from Brendan Brazier’s, Thrive book. On p226. Place Flaxseeds and Hemp seeds into TM bowl (delete this step if using ground flaxseed and hemp protein. Mix for 30 seconds at speed 9. Use spatula to constantly scrape down. Knead berries into mix by hand. Process all ingredients except the frozen blueberries. Knead berries into mixture by hand. Since the moisture content in the berries and dates varies you may need to add more dry ingredients if the mixture is too moist. Form into balls. 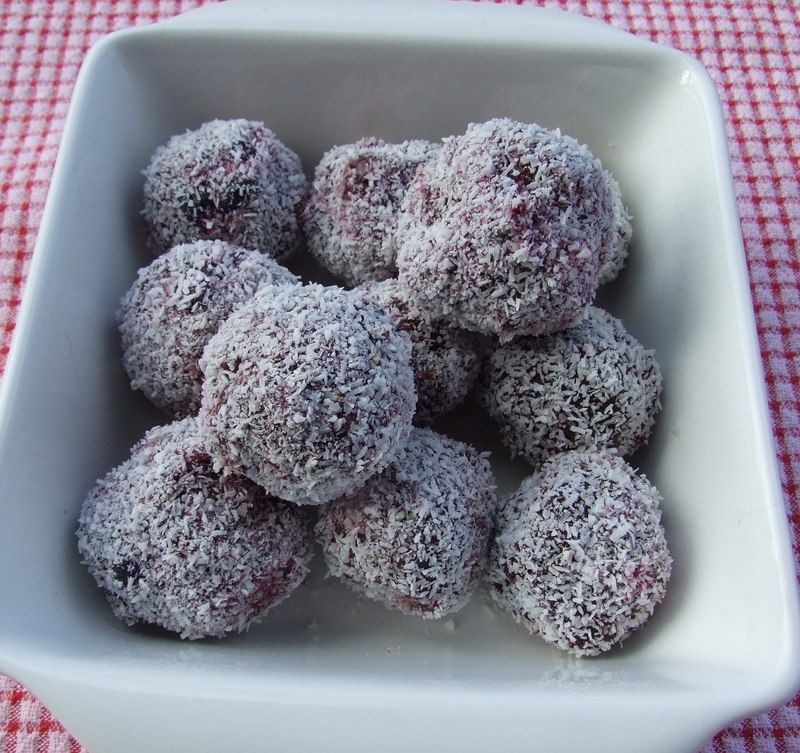 I used desiccated coconut to coat them as they were too sticky to store otherwise.